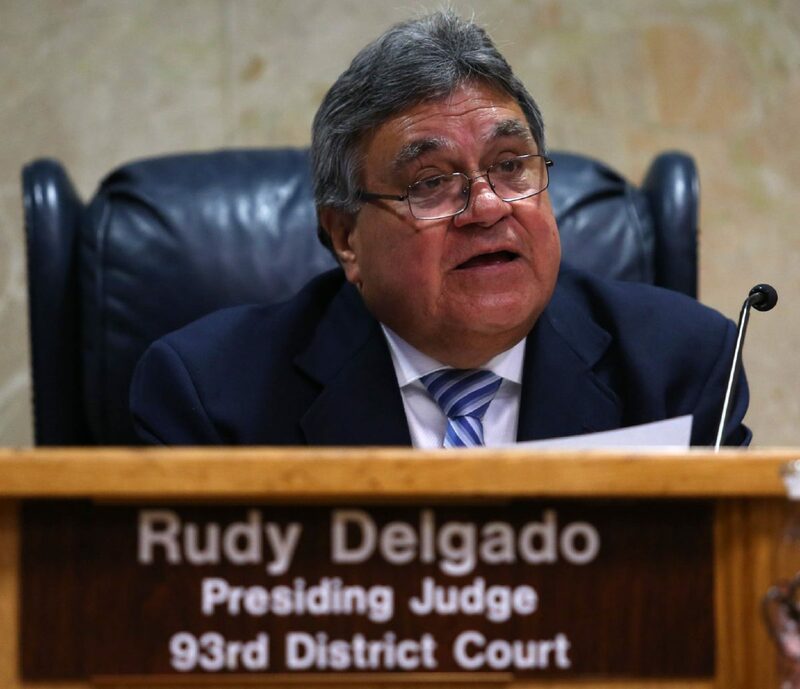 Despite being under indictment on federal bribery charges, Rodolfo “Rudy” Delgado narrowly won the 13th Court of Appeals Place 4 race by 3,220 votes, according to unofficial final results. As of 9:23 a.m. Wednesday with all 563 precincts reporting, Delgado finished with 50.35 percent of the vote over Republican Jaime Tijerina, who Gov. Greg Abbott appointed in June to preside over Hidalgo County’s 93rd state District Court following Delgado’s April resignation from the bench. Although Delgado completely disappeared from the campaign trail following his February arrest indictment, Tijerina’s victory was far from guaranteed despite him campaigning in all 20 Coastal Bend and South Texas counties in the appellate court’s jurisdiction. This is because Hidalgo County, which is a Democratic stronghold, has the largest population over 18 of all 20 counties. In the weeks leading up to the election, the Hidalgo County Democratic Party put up billboards urging residents to vote “straight ticket Democrat,” and the party placed signs outside polling sites pushing for the straight ticket option that featured photos of every local Democratic party candidate in a competitive race, with the exception of Delgado. Those efforts seemed to pay off, as approximately 63 percent of Hidalgo County voters cast a ballot in the indicted ex-judge’s favor, according to the Hidalgo County Elections Department. About 71 percent of those voting straight party voted Democrat. 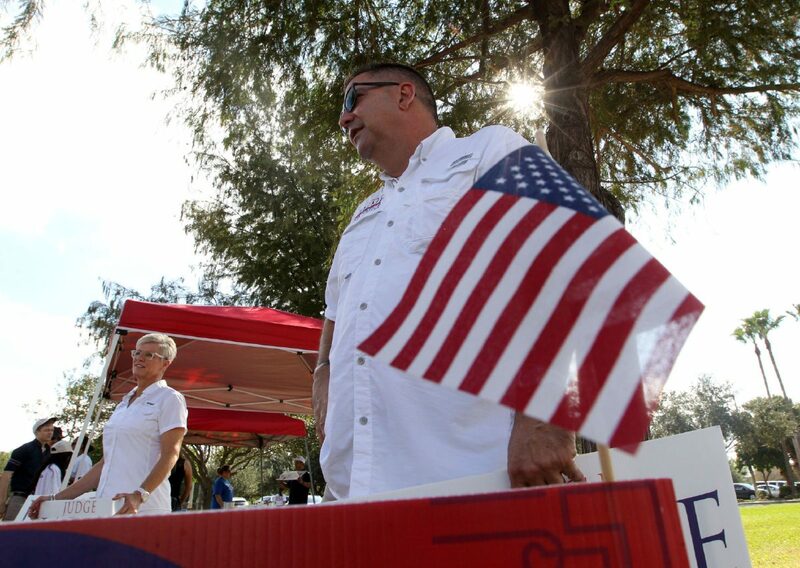 A little over 5,000 people who cast ballots in Hidalgo County, however, left the race for the Place 4 seat blank. Tijerina will serve as 93rd State District judge through the end of this year until Fernando Mancias takes the bench in 2019. Mancias, a Democrat who presided over that court from 1989 to 2000, won 69 percent of the vote. He faced a last-minute challenge by Republican Jennifer Morales, who announced her candidacy in late August, hours before the filing deadline. Democrat Dori Contreras received 53.56 percent of the vote in the race for chief justice of the 13th Court of Appeals, which pitted her against Ernie Aliseda, a city of McAllen municipal court judge and McAllen-based attorney. Her victory forces her to vacate the Place 6 seat she currently holds on the court, and the governor will be tasked with appointing a replacement come January 2019 after she is sworn in as chief justice. Incumbent Justice Gina Benavides held on to Place 5 seat against Republican opponent Clarissa Silva and incumbent justice Nora Longoria kept her Place 2 seat, fighting off Republican challenger Greg Perkes, who previously served as a justice on the court from 2011 to 2016. Benavides received 53.04 percent of the vote and Longoria 53.56 percent.